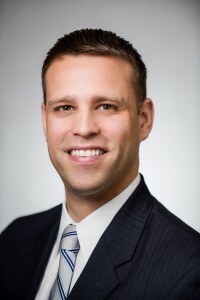 Matt Boyer is a partner at Nall & Miller, practicing in areas of Governmental and Constitutional Litigation, Insurance Coverage and Defense, Premises Liability, and Transportation and Trucking Litigation. Matt is an experienced trial attorney, having tried multiple cases to verdict in all of Georgia’s federal districts, and has represented his clients before the U.S. Court of Appeals for the Eleventh Circuit. In addition, Matt has obtained favorable results for his clients prior to trial by prevailing on numerous summary judgment motions and resolving cases at mediation. Matt also advises his clients regarding insurance coverage matters, including providing coverage analysis for claims arising under commercial general liability, personal auto, business auto, umbrella, and errors and omissions policies. Matt’s clients call on him to provide guidance with respect to avoiding bad faith and to investigate, evaluate, and resolve claims prior to suit. Matt understands that the key to successfully representing his clients is communication and a proactive approach. Matt is also proud to serve as a Special Assistant Attorney General for the State of Georgia. In this role, he represents state government agencies, officials, and employees in constitutional litigation brought pursuant to 42 U.S.C. § 1983. Prior to joining Nall & Miller, Matt spent nearly six years in the Civil Rights Litigation Section of the Office of the Attorney General for the State of Georgia where he represented state agencies and government employees in state law tort and federal constitutional litigation. During that time, Matt served as the lead attorney defending more than one hundred lawsuits, prevailing for his clients with early motions to dismiss, on summary judgment, and at trial. In addition to his practice at Nall & Miller, Matt is a Captain in the United States Air Force as a JAG Corps reservist. In this capacity, Matt has a breadth of responsibility from advising military commanders about various legal issues, prosecuting criminal conduct under the UCMJ, and providing legal assistance to military members and their families. Hayles v. Smith, et al., Civil Action No. 6:10-cv-13, United States District Court for the Southern District of Georgia. Obtained jury verdict in favor of client corrections officers against claims of excessive use of force in violation of the Eighth Amendment. Nix v. Rockwell, et al., Civil Action No. 5:10-cv-256, United States District Court for the Middle District of Georgia. Obtained summary judgment as to some claims, and jury verdict as to remaining claims, against client corrections officers for allegations of excessive use of force. Collins v. Bridges, et al., Civil Action No. 5:09-cv-109, United States District Court for the Middle District of Georgia. Obtained jury verdict in favor of client corrections officers against allegations of purported used of excessive force. Williams v. Ralley, et al., Civil Action No. 1:10-cv-087, United States District Court for the Middle District of Georgia. Obtained jury verdict in favor of client corrections officers against allegations of purported used of excessive force. Sutton v. Georgia Correction Industries, et al., Civil Action No. 1:10-cv-062, United States District Court for the Middle District of Georgia. Obtained dismissal of lawsuit brought for alleged constitutional violations against clients based upon Plaintiff’s loss of appendage during workplace accident. Lawrimore v. Old Republic Ins. Co. , et al., Civil Action No. 2:14-cv-1275, United States District Court for the District of South Carolina. Appearing pro hac vice, obtained summary judgment for client in declaratory judgment action regarding liability for Plaintiff’s damages under South Carolina statue and the federal Motor Carrier Act. Outside of his work and military service, Matt has been involved most recently as a mentor for the Fulton County Veterans Court and has also served a mentor for KIPP Scribes, a writing program established by The Wren’s Nest and KIPP Strive Academy. Matt has also been involved with and supports Lighthouse Family Retreat and Literacy Action, Inc.
Matt enjoys running and competing in triathlons, and he and his family are active members of St. Luke’s Episcopal Church.